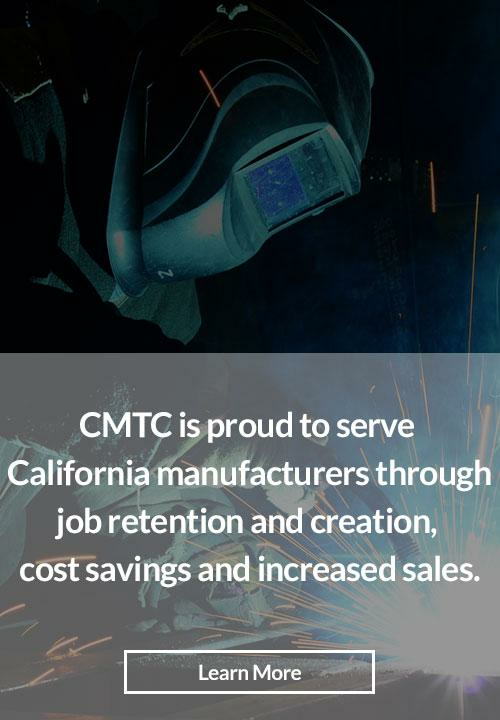 CMTC, a private non-profit corporation, was established in 1992 to provide consulting services to small and mid-size manufacturers in Southern California. CMTC operates through a cooperative agreement between the Hollings Manufacturing Extension Partnership (MEP) of the National Institute of Standards and Technology (NIST) under the Department of Commerce for the State of California. CMTC has gone through many changes within the corporation in order to meet the needs of manufacturers in Southern California. Listed below are just a few highlights. California awarded cooperative agreement with the Department of Commerce. Became a 501 (c)(3) Non-profit California corporation with 34 employees and serviced our 100th new client. Created the first Business Development department and expanded our partnerships to colleges and universities. First year awarded State Funding and six regional center offices in operation. Established Aerospace Supplier Advantage program. First Employee Training Panel (ETP) contract received from the State to offset training needs of manufacturers. Served over 1800 clients in first 10 years. Telecommuting environment created to improve efficiency and to serve all regions from Fresno to San Diego more expediently. CMTC receives funding for the California Enhanced Manufacturing Supply Chain (CEMSC), a federal R&D project from the Defense Logistics Agency. Small Manufacturers Advantage® Program is initiated to service the unique needs of small manufacturers between $1-10M in revenue. Moved to current headquarters location and developed first energy program with utility companies. Lean Healthcare group established to serve the healthcare industry. CMTC celebrates its 15th year anniversary. CMTC establishes key business units to serve manufacturing, healthcare and Defense Services. CMTC begins partnership with key Workforce Investment Boards (WIBs) to supply services to manufacturers to alleviate layoff aversions. CMTC develops Partnership Network to augment core services. New ExporTech Management Program launched to help manufacturers start or expand their export programs. New Innovation Services launched to help manufacturers innovate new products or diversify into new markets. 2013 CMTC selected to be one of 5 Centers to be involved in the MEP Supply Chain Optimization program. 2015 CMTC continues to broaden its partnerships statewide to assist manufacturers. U.S. Commerce Department’s National Institute of Standards and Technology (NIST) Awards CMTC Statewide Agreement for California.